This patch is based on the vintage trademark label used on the bottom of all our pipes that feature a hardwood plug. You can put this patch on your favorite shirt, hat, bag, or use it to complement your next photo for Facebook! 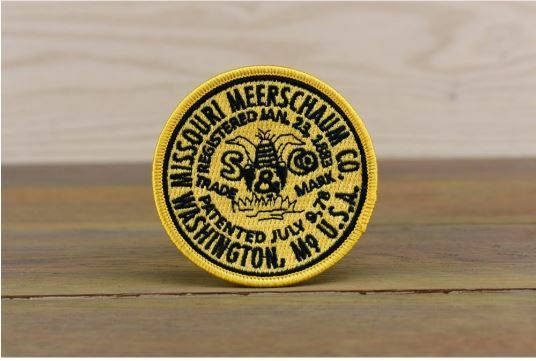 This clever patch is a great way to show your love for favorite Corn Cob Pipe Company, and can be ironed on or stitched to any fabric.